Reminder: UniverSoul Circus Field Trip Coming Up! 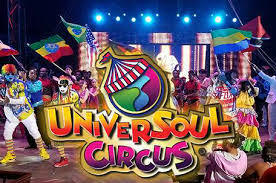 ATTENTION 6th – 8th GRADE GMS STUDENTS: Don’t forget to bring in your money ($20) and signed permission slip if you want to go on the field trip to the UniverSoul Circus next Wednesday, February 13th! We have a limited number of tickets…first come, first serve! Remember that you must be passing all your classes, have no more than 1 day of ISS, and have no OSS (all for the 3rd 9 weeks) to attend. Happy National School Counselors Week!